From Goodreads.com: Miss Alexandra Farris lost her heart to her older brother's friend, Lord Maxon Collins, long, long ago. Despite her girlhood attempts to win him, he never noticed her. Now that her first season is underway, she understands why. He prefers willowy blondes, not curvaceous maidens with darker coloring like herself. Rather than wallow in self-pity, she forgets love and focuses on something more attainable—an advantageous match. Although this is being marketed as book number three in a series, you do not need to have read the other books in order for this one to make sense. In fact, I hadn't even heard of this series until I found this story. Speaking of this story, I very much wanted to like it more than I did. As it is, I didn't hate but I didn't love it either. Alexa was very easy to dislike. 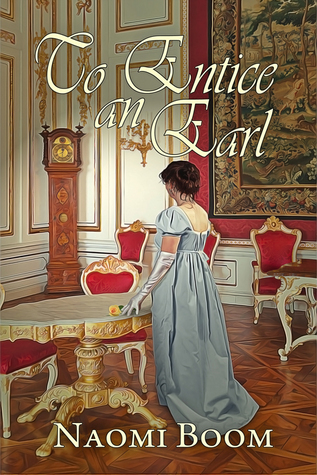 She knew she didn't particularly like Lord Edwin, but when Lord Collins originally appears, she lies about being in love with him just to be contrary. As it is, she spent the majority of the novel telling Lord Collins that she didn't even like him when just the opposite was true. Lord Collins was a more likable characters, especially considering he seemed to go out of his way to annoy Alexa on purpose. I feel like these two could have had a much more fulfilling story if they just would have been honest with each other from the beginning. Also, I really don't understand Lord Edwin's motivation. Despite Alexa repeatedly telling him that she would not marry you, he insisted they would be wed - until he decides they will not and proceeds to insult her in the process. He was already an unlikable character, but this added aspect just put him over the top in my opinion. All things considered, I believe this story may still appeal to those who enjoy historical romances. I would give this author another chance!